Automatic bi-directional syncronization (web - timing software - web). 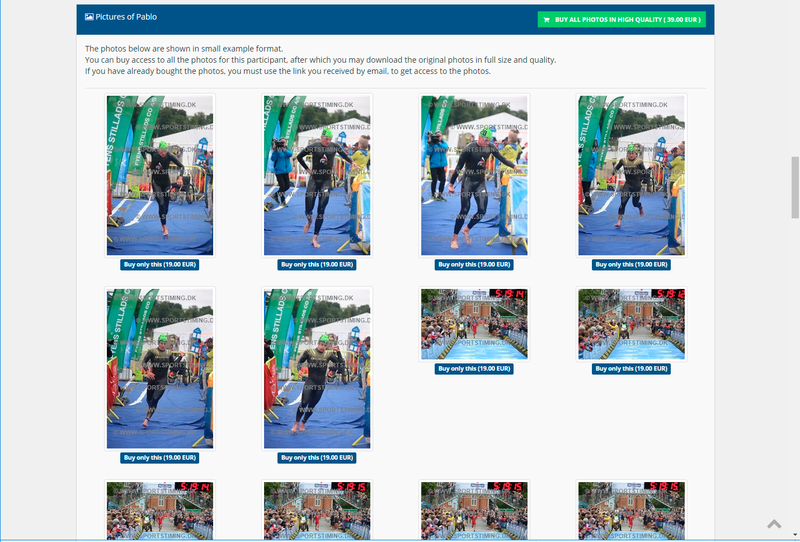 Triathlon results and results with many split times. Calculate points / overall ranking in event series. 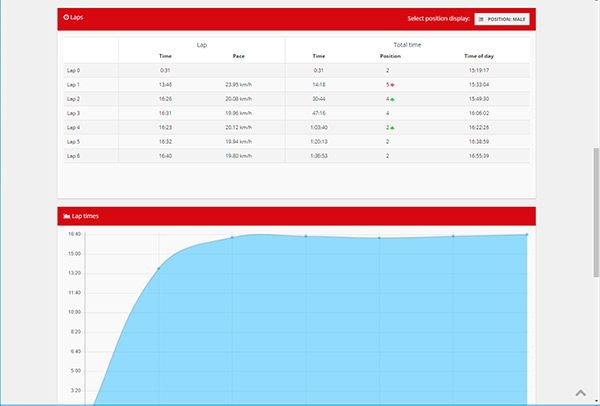 Live result page per split point. Live tracking on map (GPS and/or simulated from split points). 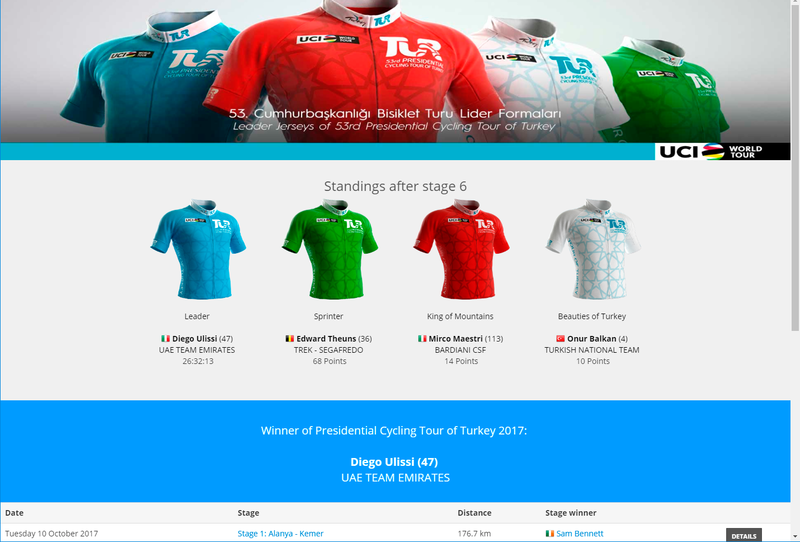 Different export options; UCI, ITU and other. 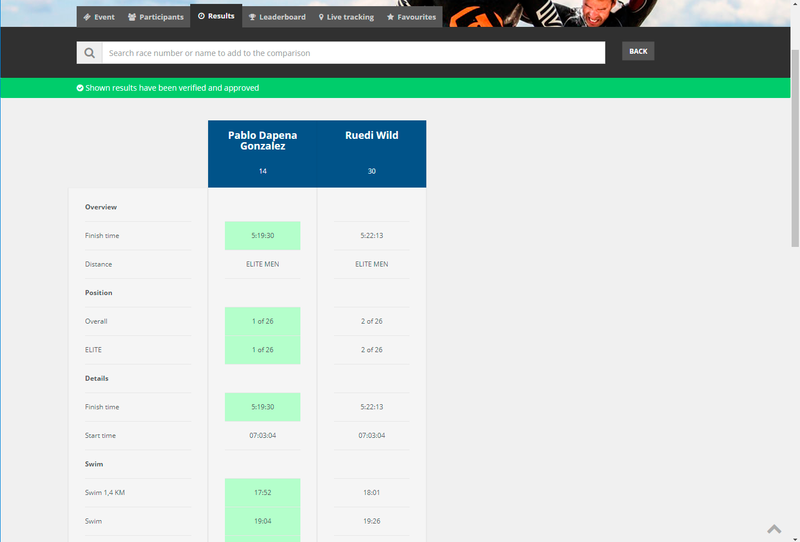 See result lists, change race, set filters or search. Get detailed result data from an athlete. 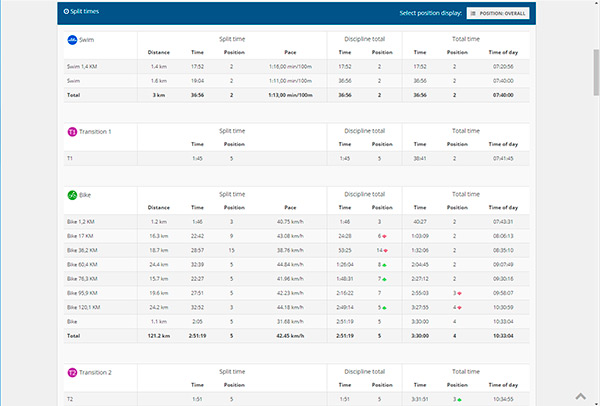 Get detailed split time overview. 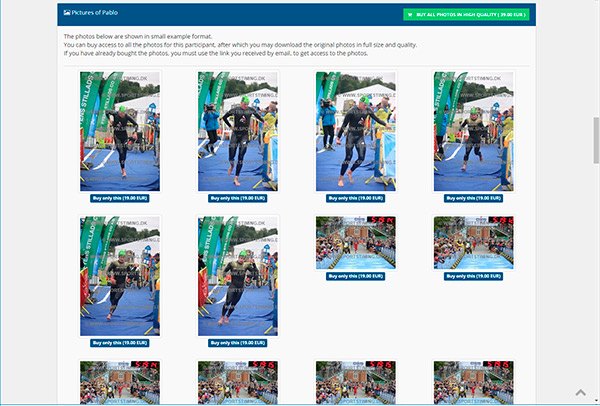 View tagged result photos for free or sell them to the participants. Default result list for lap races. On the personal result page get all lap details. 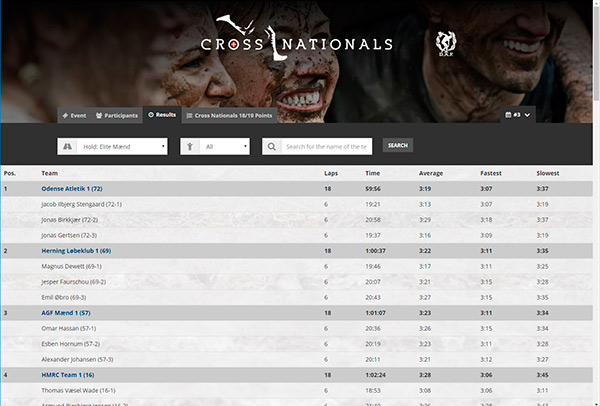 Follow the race live at the leaderboard or make your own favorite list of your friends and follow them live. 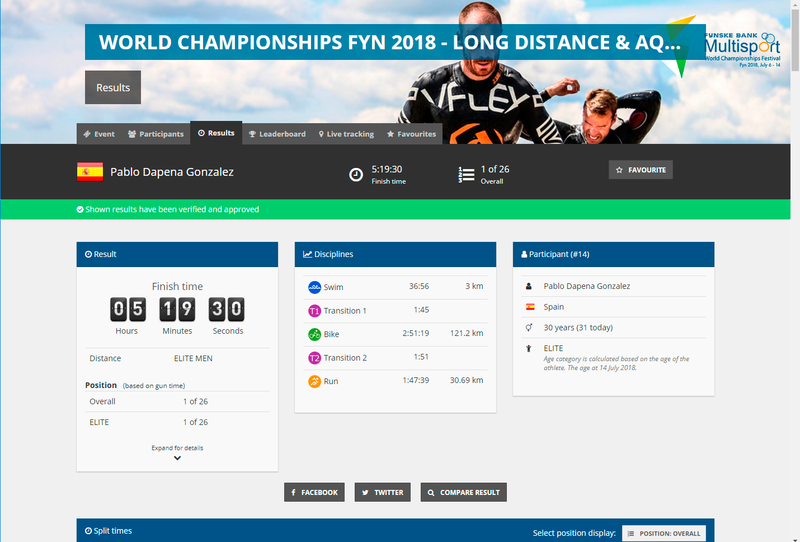 Follow a race live with tracking on a map. 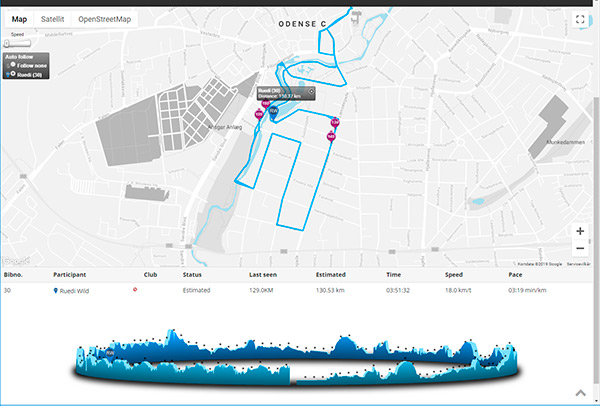 Athletes can be tracked by GPS or estimated times based on split points. 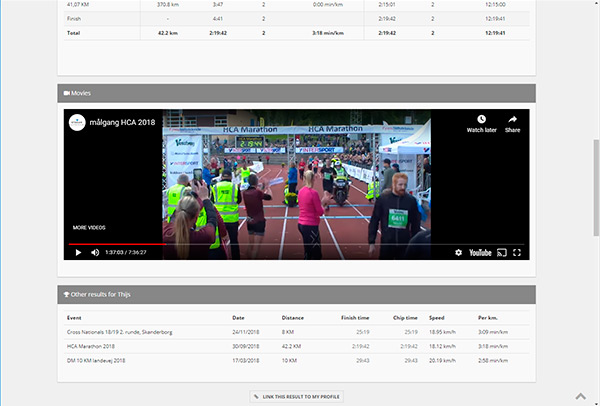 Live stream video to the result page or show a personal video certificate after the race when the athlete finish the race. Example of team results with 3 members on each team. 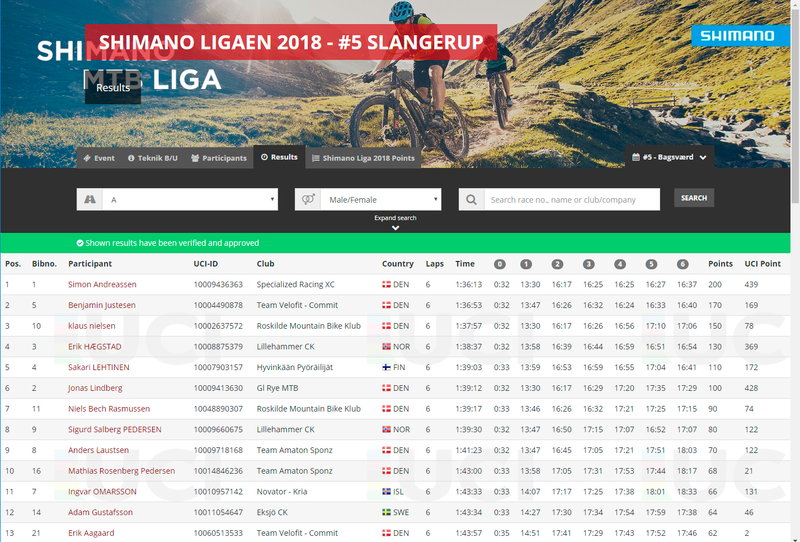 Build a series and compute points to an overall ranking list. 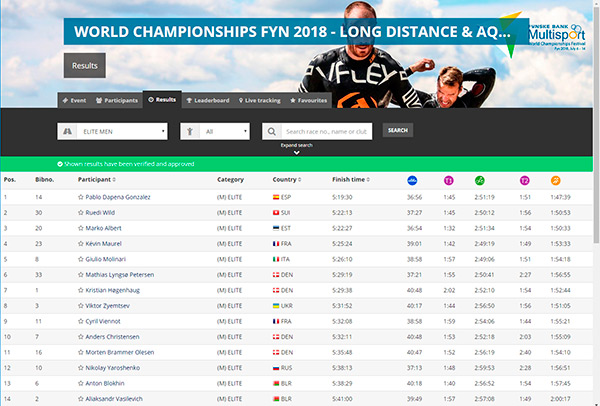 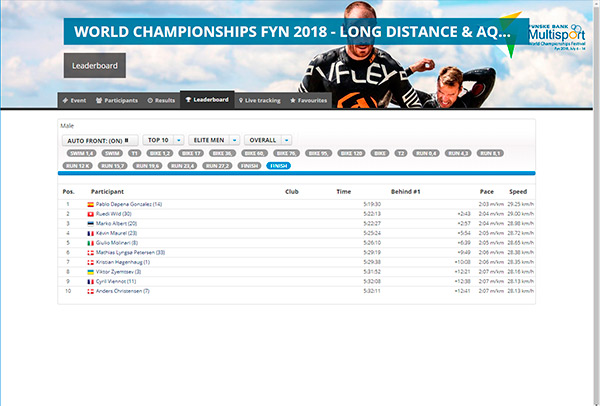 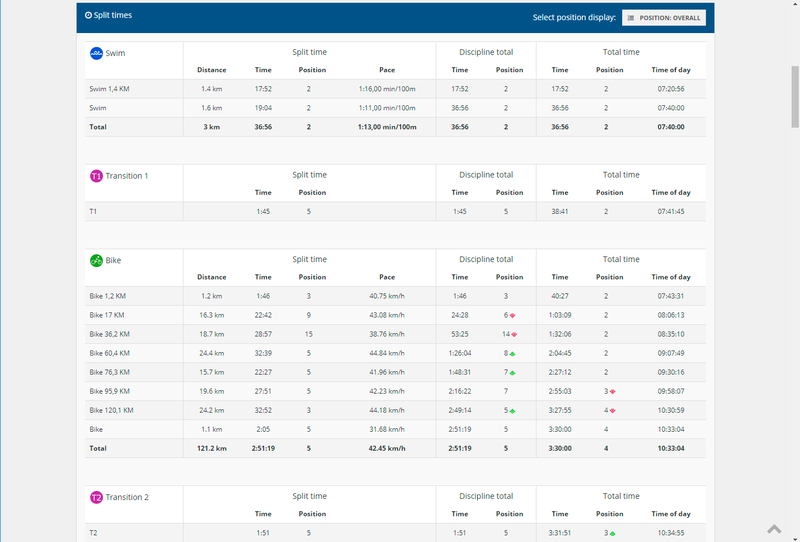 Compare detailed result data between athletes. 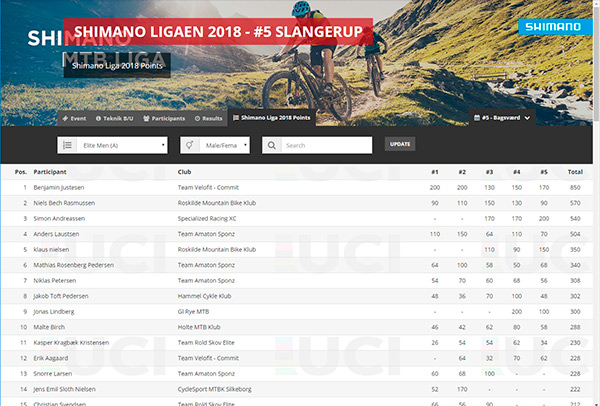 Who is the leader in the different competitions at a stage race. 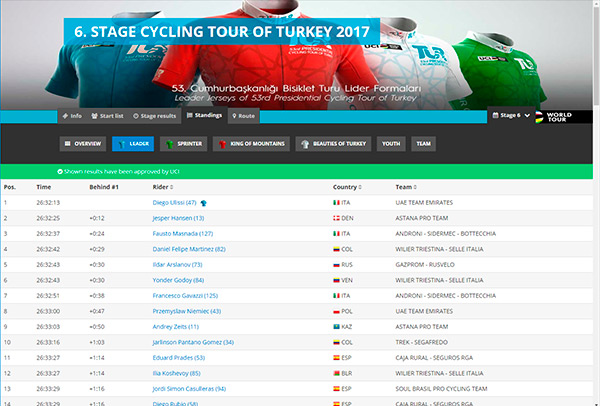 Example of the overall result list in the stage race after stage 5.